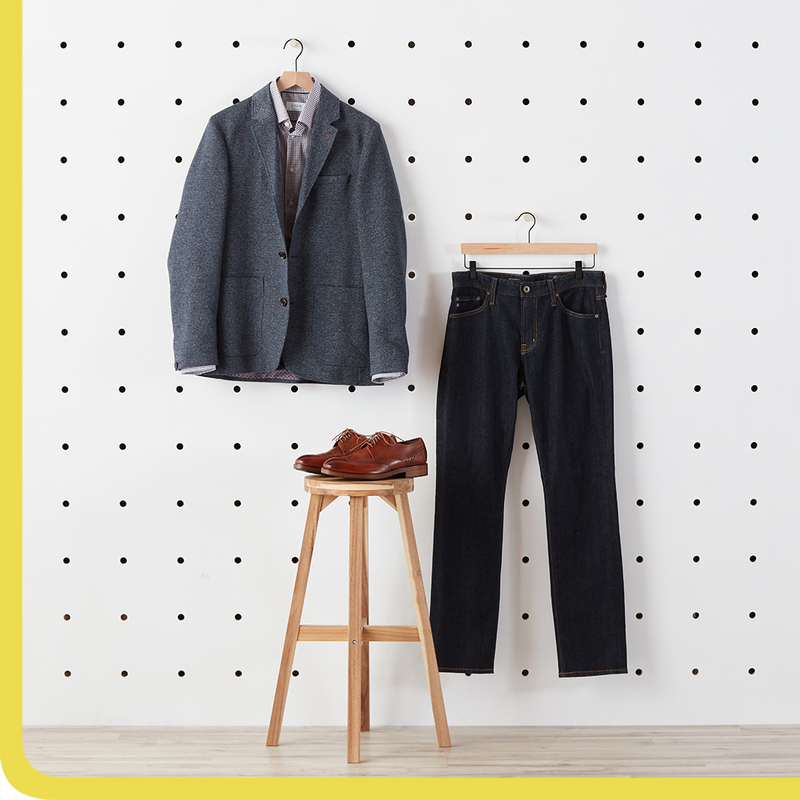 Smart-casual attire is the perfect solution for a guy whose work days often look nothing alike. Because at noon you could be leading a team brainstorming session, and at 3pm you might be standing in front of a room full of execs. 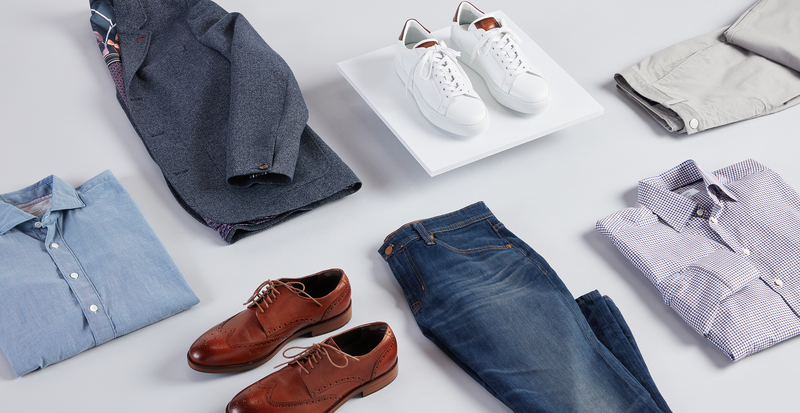 Whatever’s on the agenda, these looks will keep you cool, comfortable, and professional. On days when you have a reason to step things up, make sure to have a sport coat on hand. Fit is important, so we have a few things to keep in mind. If the fabric forms an “X” when its buttoned, your coat is too small. If the shoulders extend past your natural shoulder, or the cuffs reach past your knuckles, the coat is too big. On a properly fitting coat, the shoulders should match up with your build, and the cuffs should hit you at the top of your thumb. Having a properly fitting coat is important when you have a long task list ahead of you. The last thing you want is to be distracted by what you’re wearing. 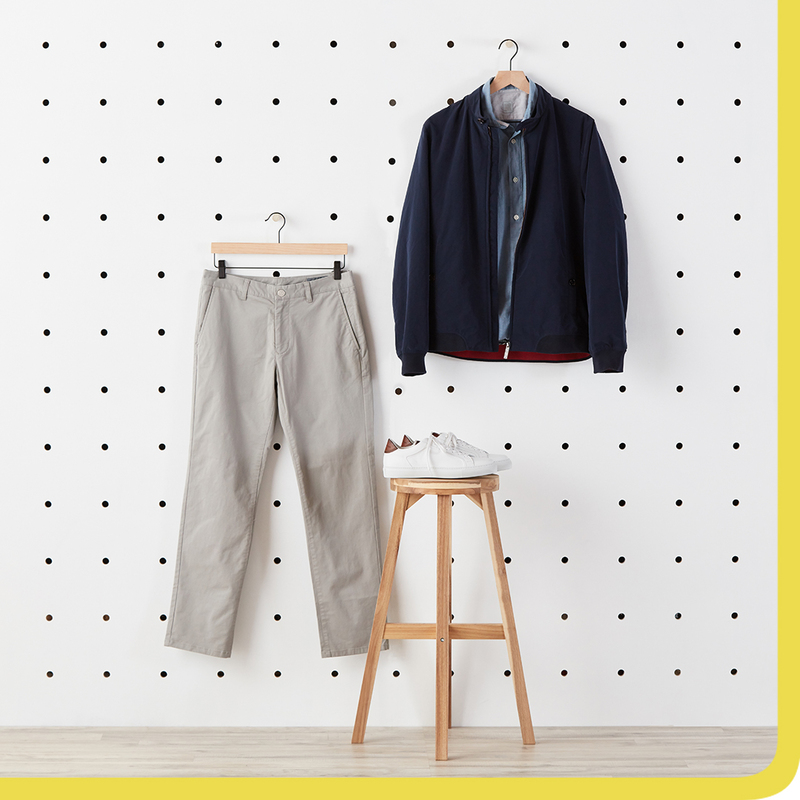 Here, we’re showing all the key elements of a classic workwear ensemble (button-down, jacket, pants, shoes) but with a couple casual twists that are still office-appropriate. Instead of a traditional sport coat, opt for a bomber or field jacket with a utilitarian edge. And if you’ll be running around the office—or rushing out to pick up the kids from school—it doesn’t hurt to have a pair of office-dedicated sneakers. Just keep them fresh and clean.